Since its release in 2004, Green Day’s American Idiot has struck a chord all over the world. Through a track listing of nine-minute epics and classic riffs, the album tells a story that hits home with so many fans, and it rightfully secured the band’s status as rock icons. 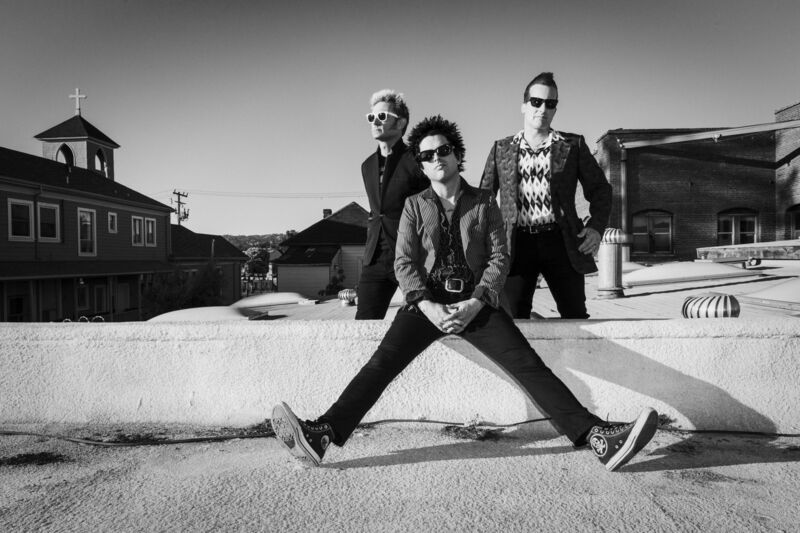 Described by a number of fans as a ‘gateway band’ into the world of punk rock, many people have Green Day to thank for being a mainstream introduction to the scene. If you can’t get enough of American Idiot, here are some suggestions to add to your Spotify library to discover some lesser-known, but equally powerful alternative records. Against Me! – Transgender Dysphoria Blues. This album may be a short one, with a total length of just 28 minutes, but it is completely unforgettable. Easily one of the most bluntly emotional albums released in the last few years, this album documents lead singer Laura Jane Grace’s experiences coming out as a transgender woman in 2012. Like American Idiot, this album ranges from the heavier tracks like ‘Paralytic States’ to the gentler acoustic sounds of ‘Two Coffins’ – and Grace’s vocals proves her undeniable talent in both extremes. It’s unsurprising that Against Me! were chosen to open for Green Day for many of their shows on the Revolution Radio tour. Against Me! have become an instant favourite among Green Day fans, and Transgender Dysphoria Blues is an album which will stay on your mind for a very long time. Bad Religion – Recipe For Hate. This record is for anyone who is a fan of American Idiot’s more politically-charged title track and the explicitly critical ‘Holiday’. Bad Religion are famous in the political punk genre for their criticism of modern society. 1993’s Recipe For Hate is a fan favourite and has been named as an inspirational record for many new punk bands today. Particular highlights of the album are ‘American Jesus’ and ‘Portrait of Authority’, representing the typical anti-establishment lyrics and punk riffs of the genre. So, if you’re feeling frustrated by the news and generally disillusioned by society, Recipe For Hate is a perfect listen. Rancid – …And Out Come the Wolves. Coming from the same ’90s California punk scene, there are many connections to be drawn between Rancid and Green Day, with Billie Joe Armstrong almost becoming Rancid’s second guitarist in 1992. Although he obviously declined, the two bands still work together, with Rancid as support on Green Day’s last UK tour and frontman Tim Armstrong directing the music video for Green Day’s ‘Bang Bang’. …And Out Come the Wolves takes inspiration from punk and ska sounds that drew a lot of new interest to the scene upon its release, and it is still deemed a classic among punk fans. Notable tracks are ‘Ruby Soho’, ‘Roots Radical’ and ‘Time Bomb’, but the album as a whole is a great insight into the ’90s punk scene that created so many iconic bands, and an absolute essential for anyone beginning to explore the genre.